Toronto add a mid-season signing to try and bolster their playoff ambitions. Toronto FC announced that Lucas Janson had joined the team on loan from Club Atlético Tigre upon receipt of his International Transfer Certificate (ITC) and a Canadian work permit. The Argentine forward will be at the club until November 30th, 2018. Speaking to the club's official website, Senior Vice-President, Soccer Operations & General Manager Tim Bezbatchenko seemed pleased with the acquisition of Janson. Bezbatchenko mentioned that Janson was a "young, dynamic player" who has the ability to play "out wide, up front and centrally as an attacking midfielder”. Those skill sets were want Toronto were looking for in attack and Bezbatchenko was happy to see this transfer through at this point in the season. 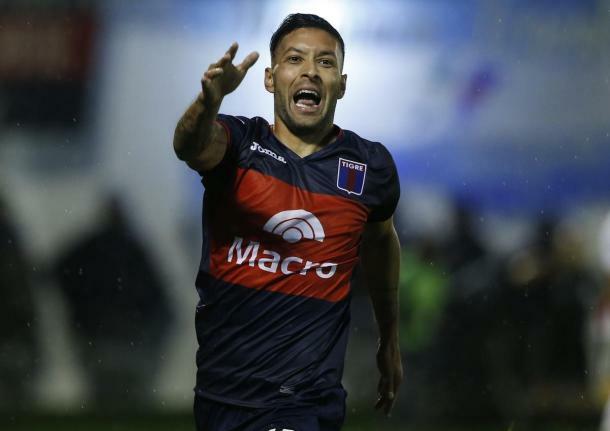 Janson, who is 23, spent his last six season at Tigre, making 82 appearances, scoring 10 goals and producing 10 assists. During his time there, Tigre reached the 2012 Copa Sudamericana but lost out to São Paulo. Toronto hope that his experience there will add to their roster depth as they look to push themselves up the Major League Soccer standings and into a playoff spot. Janson joins a list of mid-season signings that Toronto have signed over the last few season who they hope will push the team on and help them achieve their goals. Armando Cooper and Nicolas Hasler were two players who came in around this point in the season and helped Toronto achieve their goals by not only pushing current starters to play better but also filling in well when key players were unavailable. With Toronto's current injury-filled season, Janson will be a welcome reprieve for the likes of Víctor Vázquez and Sebastian Giovinco who have had to carry all of Toronto's attacking threat due to numerous injuries to teammates. Greg Vanney will hope that Janson's integration into the team is fairly seamless and will allow Giovinco and Vázquez the chance to rest here and there without a drastic drop in quality for the team.